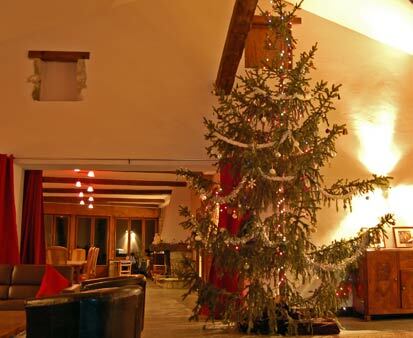 Christmas at Le Foulon - a huge tree, roaring fire, chestnuts roasting, along with a Turkey, Goose or Pheasant. All the trimmings means roasted 'nips, proper home made stuffing, sprouts and bacon wrapped chipolatas, served with jugs of delicious gravy. See the full MENU at the bottom of the page. But leave room for the mince pies, Christmas pudding and brandy butter, and keep enough Christmas cheer to steal a kiss underneath the mistletoe. 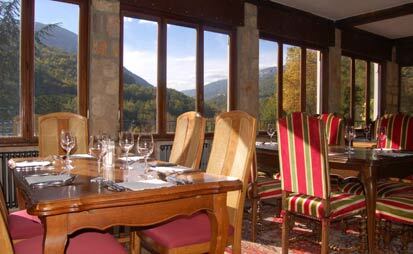 Cost is €30 per guest for Turkey or €35 for Goose or Pheasant. So why not organise a group of friends to enjoy a proper British Christmas - available any evening or lunchtime between now and Christmas - please call or email for availability. Minimum booking 10 people, maximum 25. 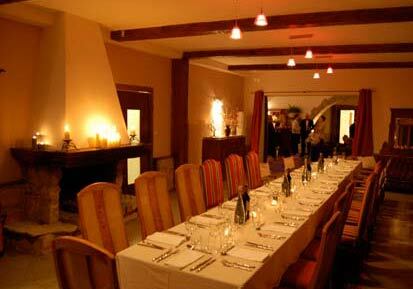 Five rooms could accommodate 10 people for their own private Christmas at Le Foulon. Alternatively we'll take individual bookings and you can make new friends for Christmas. Just think, no shopping, no cooking and no washing up - just pure indulgence, surely what Christmas is all about? with your aperitif in the bar. Turkey €30. Goose or Pheasant €35. Served with garlic roast potatoes, roast parsnips with horseradish sauce, brussel sprouts, carrots, pigs in blankets (chipolatas wrapped in streaky bacon), chestnut and herb stuffing, plenty of real gravy and cranberry sauce. and/or mince pies with creme fraiche. Coffee or fresh mint tea from mint grown by our riverside. (Your choice of bird needs to be the same for the whole group). 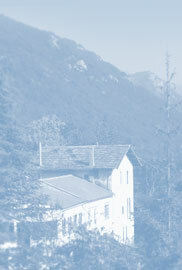 Why not come for a walk in the mountains before an early afternoon Christmas meal? 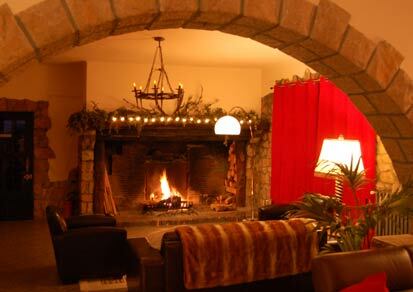 Relax by our ingle nook fire place.